We all love amazing goal highlights scored by the pros, but the youth academies that produce future stars do bring out their cameras every once in a while, and sometimes what they capture is nothing short of spectacular. 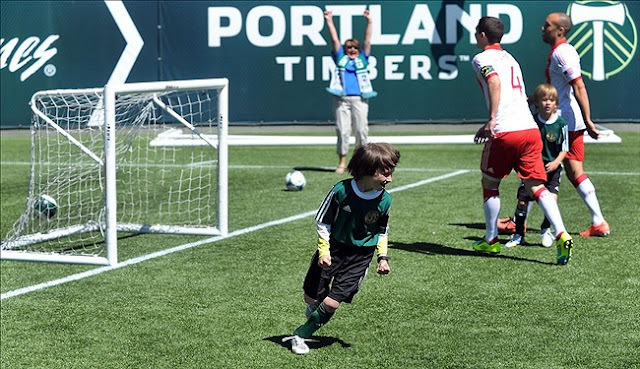 Here are 5 fantastic goals scored by kids under 15 years old. David Beckham was known to be a master of "bending" his shots, hence the film Bend it Like Beckham. But even the former England international would be proud of this curviage, as 14 year old Denis Tubic puts the ball in the back of the net directly from the corner kick. Following in the foot steps of infamous Brazilian goal-scoring São Paulo goalkeeper Rogério Ceni, this young keeper from the youth system of the same club recently scored an incredible free-kick goal against spanish youth side RCD Espanol. This 13 year old's timing with his back to the goal is quite incredible as he slots an impressive bicycle-kick goal into the back of the net. The finish is not the highlight in this particular goal, as Barcelona's youngster from the infamous La Masia academy shows amazing foot skill to fool a defender and set himself up with an easy goal. In a U12 match, this 11 year old skillfuly dances around with the ball before slotting the ball into the roof of the net.